The Greenhouse at Driftwood is a unique events and wedding venue located between Onion Creek and Jackson creek in Driftwood, Texas, and is a popular Hill Country getaway. The original building was constructed about 40 years ago, beginning with a homestead and two story greenhouse but has since expanded considerably. Driftwood, TX is conveniently located only about 10 miles from the western edge of Austin, TX making it ideal for those wishing for an outdoor rural experience with easy accessibility. 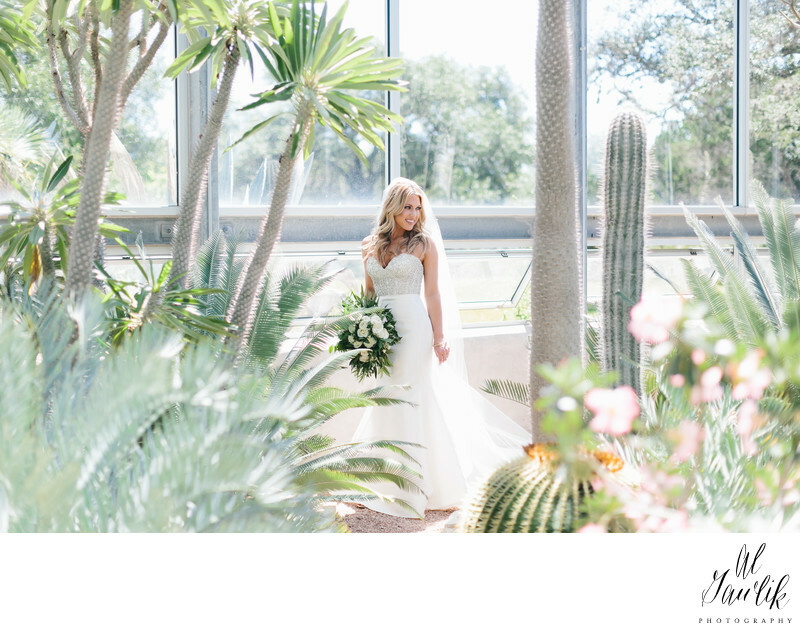 The Greenhouse at Driftwood held its first wedding in 2013 and now boasts a three story tropical greenhouse at the entrance of the event space containing mysterious and romantic indoor garden architectures like catwalks, spiral stair cases and balconies along the multiple levels. The greenhouses are home to over 70 species of various tropical and desert plant species. The plants, including prehistoric cycads and have been chosen specifically for their rarity and much work has gone into cultivating an array of interesting specimens. The venue boasts versatility and can host gatherings large and small, formal or casual. The property has an impressive expanse of facilities with plenty of space as it resides on over 50 acres. There are a variety of spaces available that plan for rain or exceptionally large parties, and five main areas that are the focus of the Greenhouse. At the center of the complex is the Wedding Oak Lawn, which can host up to 300 and provides an outdoor feel with beautiful natural environs. The Desert Greenhouse is a small enclosure holding only seven but is perfect for small group or individual photos. Near the Desert Greenhouse is the Deck, a recent spacious addition that can seat 170 persons for dinners and receptions and hold 300 for a ceremony. The Tropical Greenhouse is more spacious with room for 50 guests and the Tent Slab is an outdoor pavilion that has room for up to 300 guests and provides easy access to caterers and vendors. The Greenhouse at Driftwood has now been run by the same family for three generations and is a venue that you can trust and count on to meet the expectations and hopes on your special day!